Neman Family Dentistry (Forest Hills) - Book Appointment Online! We are always welcoming new patients & we would love to have you as part of our dental family. 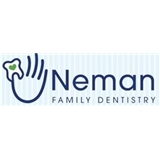 Please visit www.nemanfamilydentistry.com to learn more about us and find information about our staff, office services that we offer. Dr. Neman believes each patient deserves personalized care and attention & takes the time to educate his patients about treatment options that are tailored for them. Our treatment plan coordinators will develop a customized payment plan. We accept many private dental insurance plans as payment,& as a courtesy to our patients we will gladly file all the necessary forms to get your treatment completed & maximize your insurance benefits. As there are many PPO insurance plans which we accept as payment, such as, Delta Dental, Metlife, Guardian, Cigna to name a few. We welcome you to come in & our staff will do a complimentary benefits check for you. This was my first visit to Dr. Neman's office. The office was bright and clean, and the staff was friendly, knowledgable, and helpful. Dr. Neman did my cleaning himself, explained everything clearly, and took time to answer questions I had. Needless to say, I'll be going back in 6 months for my next visit! Highly recommended! Excellent reception/office experience. Great pediatric dentist.